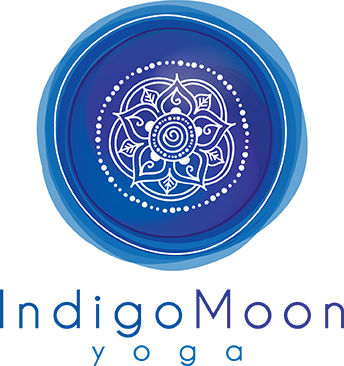 Indigo Moon Yoga Studio is committed to protecting any information that we collect from you. Please read the following Privacy Statement to understand how your personal information is treated. We will collect the minimum amount of information about you that we need to provide you with a satisfactory service. Your use of this website gives us the right to collect that information. In some cases, we may collect non-personal information. Examples of this type of information include the type of Internet browser you are using and the domain name of the web site from which you linked to our website. We may use your information on an aggregated basis to do such things as operate and enhance our website and deliver advertising. Your Internet browser has the functionality for storing small files (“cookies”) that hold information which allows a website to recognize your account. Our website and/or the Mind-Body Online website takes advantage of this functionality to enhance your experience. You have the ability to prevent your computer from accepting cookies but, if you do, certain functionality on the website may be impaired. If you have opted to receive our newsletter, you may cancel participation in email newsletters by following the instructions on each newsletter. We will honor all requests for list removal sent to us as described in “Contacting Us” below.